The combination of two amazing things have been lauded throughout history. 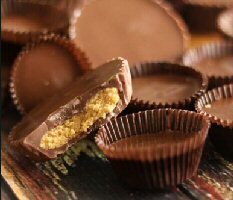 Meat and bread; peanut butter and chocolate; cheese and crackers. Okay, all of these examples have to do with food. Perhaps I need to take a lunch break soon. The point is, bringing two wonderful things together tends to make one, even more wonderful thing. That’s exactly what happened last week when it was announced that Microgaming games are going live on 888 Casino. Both are industry leaders; both exhibiting supreme longevity and securing utmost respect in their fields. Now, they’re coming together to give online casino patrons the ultimate degree of distinguishment in iGaming experiences. Based in Isle of Man, Microgaming’s roots date back to 1994; a time when online casino games were in their most infantile stages. The company’s software went on to power the very first online casino shortly after. Now, Microgaming is responsible for providing digital gaming content to more than 1,500 online gambling websites. We’re talking about nearly one thousand online casino games, bingo games, and one of the world’s oldest poker networks, The MPN (formerly Prima Poker Network) launched in 2003. The history of 888 goes almost as far back as their new partner’s. Originally founded as Virtual Holdings Ltd. in 1997, the company launched its first iGaming website, Casino On Net, out of Antigua that year. As time went by, it was re-branded 888 Holdings. As its online casino and poker endeavors took off, it was decided that branded gambling identities were in order. Casino On Net became 888 Casino, followed by the launch of 888 Poker (2002) and 888 Sports (2008). The most amazing thing, in my opinion, is that, in all these years of pioneering innovation, these two companies have never come together before. The press release issued by Mircogaming last Thursday confirms that their leading digital software platform is now up and running at 888 Casino. Microgaming, creator of the multi-award-winning Quickfire platform, lauds its new partner as “one of the world’s most popular online gaming entertainment” providers. Guy Cohen is Senior VP of B2C operations at 888 Holdings. He, too, is expressing enthusiasm over the recent partnership. firm’s massive network of online progressive slot machines, as well its popular brand-licensed content; the Jurassic Park / Jurassic World series, The Phantom of the Opera, John Carpenter’s Halloween, and the more recent release of Game of Thrones, just to name a few. 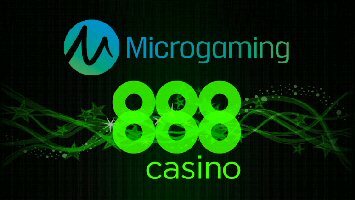 Additionally, Microgaming now supplies its famous Casino-in-bingo (CiB) side games to 888 Bingo.